This week I've been working on a WCF webservice and I wanted to get dependency injection going and leverage interception in order to nicely handle logging, exceptions and some performance measurement. Although I prefer Ninject, I had to go with Unity for the IoC container. Now - the sweet thing is this NuGet package Unity.Wcf. It's super easy to set up. What will happen is that your services will be served from a factory, that you populate by setting up the container. 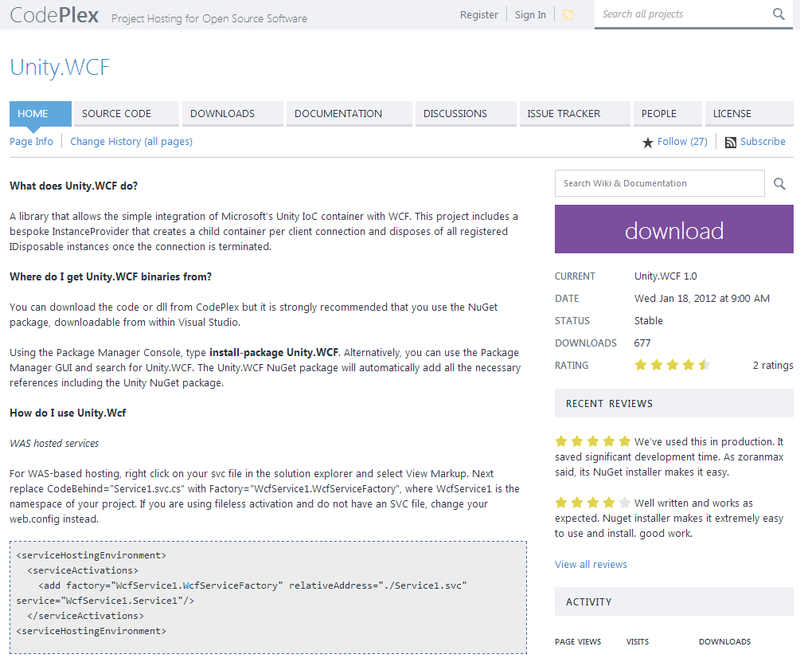 Check out this website to get going with this awesome package: http://unitywcf.codeplex.com/ and get it from NuGet. So once you got that going, you can add interceptors to it to get some pre- and post method call behavior. The WSDL I'm working with has a custom fault implementation so I had to respect that. The point is though, that if I find an exception in the methodReturn.Exception - I throw a FaultException immediately with input from the exception. I'm quite happy with the solution. Another way of doing this is adding a new errorbehavior to the WCF service using attributes - as described here: http://www.codeproject.com/Articles/26320/WCF-Error-Handling-and-Fault-Conversion . However - since I had the whole thing set up with interceptors already, I'm going with this one.